If you liked this show, you should follow Dr Carol Francis. Brain States and the Psychology of DreamsWhen we are asleep, parts of the brain that govern our waking life shut down, but many other parts of the brain remain switched on. One brain region very active when we are dreaming is called the visual association cortex, which is located at the rear of the head. It makes meaning out of what we see, and engages the brain’s emotional centers, which is why dreams are often laden with emotion. In a new book called “Dream to Freedom,” authors Robert and Lynne Hoss describe the many processes occurring in the dreaming brain, and how they relate to the unconscious mind. Dreams often involve distorted versions of waking events and behaviors, and can represent an attempt by the brain to resolve these dilemmas emotionally. Robert Hoss is the president of DreamScience foundation, and one of the world’s foremost authorities on dreamwork and Gestalt psychology. Lynne Hoss is a psychotherapist. 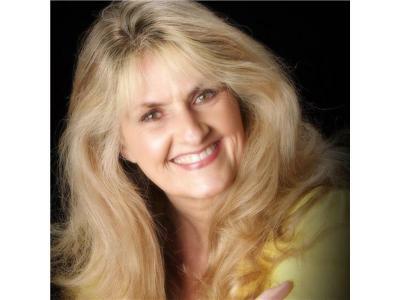 Dr. Carol Francis, Psychologist, Marriage, Family & Child Therapist and Hypnotherapist in Los Angeles Beach Cities Area. In the book the authors show that understanding our dreams does not necessarily decrease negative emotion. They present a new psychological protocol called “Dream to Freedom” based on EFT or Emotional Freedom Techniques, an “evidence-based” therapy method. The Dream to Freedom technique is designed to reduce the emotional stress that can accompany dreams by combining EFT with Gestalt dreamwork. EFT has been validated in many studies of anxiety and other mood disorders. The authors present many case histories, in which the Dream to Freedom technique has allowed dreamers to resolve the emotional dilemmas presented by their dreams, as well as facilitate lucid dreaming and stop recurring nightmares.